As a homeowner, you might have handled large numbers of installation and repair tasks. However, there are some tasks that you cannot afford to do by yourself and it requires professionals with special skills and tools to do the work. This is applicable even in the context of gas plumbing works. Whether it is the question of installation or repairing, you will have to call an experienced gas plumber to help you get the work done. Otherwise, you might make some mistakes, which might pose to be a serious health hazard for you. At times, it might even result in a large explosion. Therefore, extreme care and precaution is required. You must be aware of the importance of the plumbers. Unfortunately, the exclusive roles played by the gas plumber are often overlooked. Most people call the general plumbers even for gas related projects. This is definitely a big mistake that anyone can make. 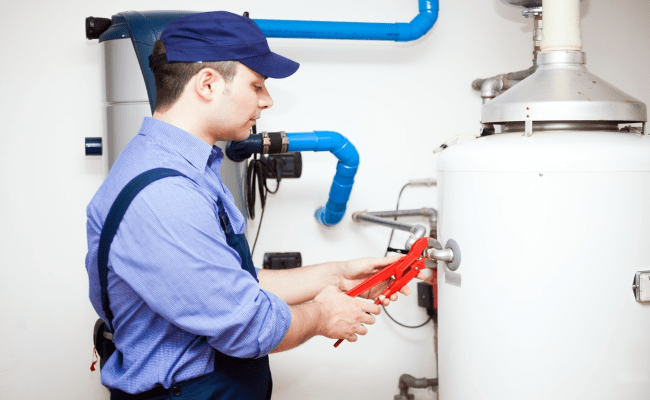 You can call them for installing and repairing gas water heaters of different makes and models. They can work efficiently with outdoor grills, fireplaces and stoves. They are even experienced in working with HVAC systems. They can work both for residential and commercial gas projects. These plumbers carry special license with a high degree of educational qualification and experience. Hence, you can expect them to resolve your issues in one of the best ways. When you hire a gas plumber for any work, you can be rest assured that he will work out of his experience and not any guess work. Hence, he will do the job correctly. He can work in different spheres to ensure that you are out of danger. He will carry out a thorough inspection in your home to make sure that the gas systems are in appropriate condition. If he detects any gas leak, he can fix the leak at the earliest. He will identify the point of leak and fix it for you. He will also make sure that the gas burns cleanly so that it creates fewer emissions in the environment. He will check whether the gas water heaters have been vented properly. He is well informed about the local safety codes, due to which he will take the necessary steps accordingly. Whenever you call an experienced gas plumber, you can be assured of the safety of your house and your family members. Consequently, you can look forward to getting some of the highest qualities of services from plumber. Apart from having the necessary qualifications and knowledge, they are equipped with the most modern tools to work with wide range of plumbing issues. As a result, you can look forward to getting the highest standards of installations and repairs from them. They adhere to top level customer satisfaction, due to which they will look into the fact that your needs are met. This can indeed be great. A gas plumber is most required in situations of emergency. Whether it is a leak or a burst in the gas pipe, you should call the gas plumber at the earliest. He will give you the necessary instructions to follow. You will have to evacuate your home at the earliest. When the plumber arrives, he will carefully look into the matter and take the necessary actions to prevent any further damage in your home or commercial building. Once they resolve an issue, they will give you several tips in taking care and maintaining your gas system. Following them, you will be free from any danger.